Lee-Roy Lahey Draws You! Or Your Cat! Or Cthulhu! Or Whoever! We just added Cartoon Portraits by Lee-Roy Lahey! If you'd like to see yourself, your cat, Cthulhu, Batman, Robin, Spider-Man, Hercules, Elijah Wood, WHOEVER, illustrated as a cartoon character, then this is for you! If you are a new backer, or want to change your reward, you can buy the package for $150. If you are already a backer (THANK YOU) and want to keep your current reward simply add $30 to your existing pledge! It's a steal! 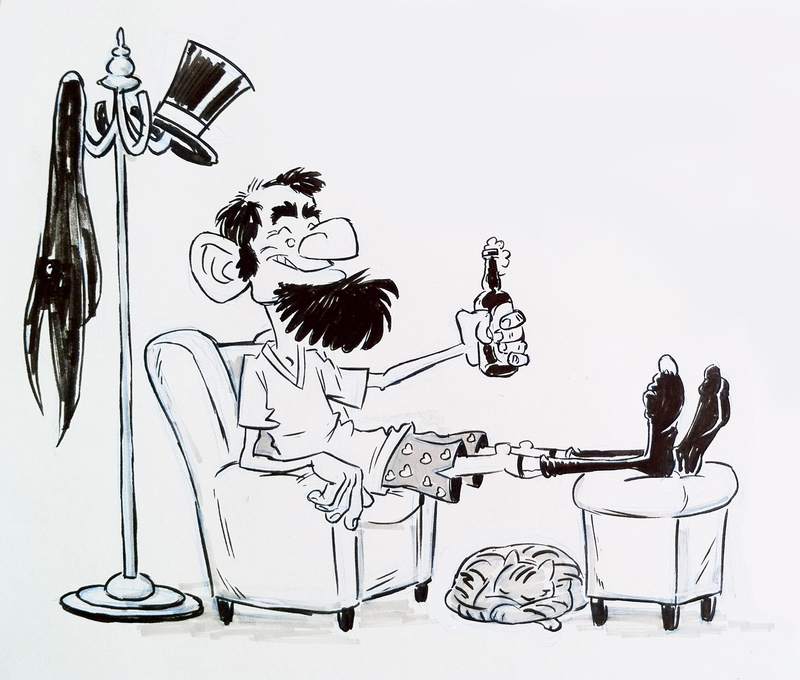 Here is Lee-Roy's take on Abe Lincoln! And here is Lee-Roy's own mug! There are unlimited quantities on this, so you can all enjoy! Pledge now!